I’m highlighting a few essays in From Creation to New Creation (a tribute/fenschrift to G. K. Beale); not necessarily those I think are objectively superior, but rather stood out to me as interesting and post-worthy. Gordon P. Hugenberger, who is producing a commentary on Judges for the Apollos OT series, argues against the scholarly consensus – much like Samson taking on a multitude of Philistines – by making a case for Samson not visiting a prostitute in Judges 16:1-3. More than simply arguing against seeing this as another conquest of Samson’s unchecked libido, Hugenberger makes an interesting case for a positive reading of this event. I’ll detail the argument below and why it matters. Precritical interpreters (inc. Josephus) didn’t believe Samson had sexual relations here. To “go in to” can refer to sexual relations, but “[in] the vast majority of cases the expression refers to one entering into the company of another without any sexual implication” (p64). The larger context must determine the implications. There is no hint of rebuke for Samson’s actions. In fact, his actions (Judges 16:3) have divine favour. The judges are portrayed positively throughout Judges (eg. Judges 2:6-23). Hugenberger’s case relies on recognizing parallels between Judges 16:1-3 and two similar events that carry no sexual connotations: Joshua 2 and Judges 18. Similar narrative introductions (Judg 16:1; Josh 2:1). The woman in both instances is a “prostitute” (Judg 16:1; Josh 2:1). The expression “came to/went into” is in both instances (Judg 16:1; Josh 2:3, 4). The report of Samson and the spies uses similar language (Judg 16:2; Josh 2:2). Both Samson and the spies are in the city during “the night” (Judg 16:2, 3; Josh 2:2). The city gate plays a large role (Judg 16:2, 3; Josh 2:5, 7). Samson and the spies “lie down” (Judg 16:3; Josh 2:1, 8). Both Samson and the spies leave for the “hill country” (Judg 16:3; Josh 2:16, 22, 23). Spies were sent out to examine the land they were to conquer (Josh 2:1; Judg 18:2). The hosts give no military intelligence, but divine confirmation is received (Josh 2:9-13; Judg 18:5, 6). The hosts transfer their loyalty to the spies (Josh 2:12-13; 6:22-25; Judg 18:20). So What Was Samson Doing There? Considering the similar accounts, perhaps the key is in asking “what were the spies doing there?” It’s unlikely that they were after intel that “could be incorporated into the eventual strategy that supernaturally caused the walls of Jericho to tumble” (p73)! Hugenberger considers the possibility that the Canaanites were involved in cultic prostitution and that the spies were confirming that the inhabitants sins had reached full measure (Gen 15:16). Perhaps this is why Samson visited the prostitute in Judges 16; for similar reasons as his actions in Timnah (Judg 14:4, 15). “While the Danite spies fail to follow the pattern of Joshua’s spies, the author of Judges suggests that the faithful Danite, Samson, who alone remained behind when the rest of his tribe had abandoned their inheritance, was replicating the stratagem of the spies meticulously. If so, Gaza was hardly Samson’s downfall, as is so often alleged.” (p78). Much like with a friend that constantly disappoints, perhaps we have been too quick to judge Samson and assume the worst? I will need to give this further thought, so comments are welcomed! I must say that Hugenberger’s essay gives a much stronger case than my summary, but the basic frame above is a good starting place. 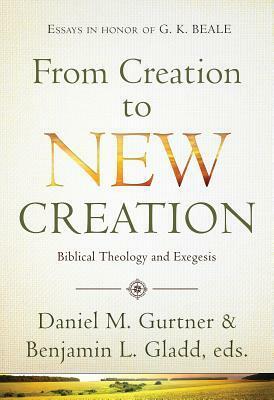 For this excellent essay and others, check out From Creation to New Creation.